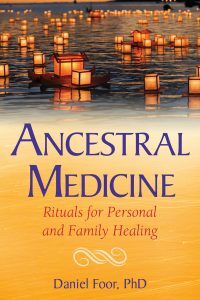 A practical guide to connecting with your ancestors for personal, family, and cultural healing. Everyone has loving and wise ancestors they can learn to invoke for support and healing. Coming into relationship with your ancestors empowers you to transform negative family patterns into blessings and encourages good health, self-esteem, clarity of purpose, and better relationships with your living relatives. 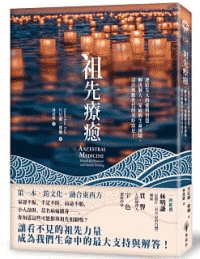 Also now available in Chinese! Daniel Foor, PhD, is a licensed therapist and a doctor of psychology. He has led ancestral healing intensives throughout the United States since 2005. He is an initiate in the Ifa/Orisha tradition of Yoruba-speaking West Africa and has trained with teachers of Mahayana Buddhism, Islamic Sufism, and diverse indigenous paths, including the ways of his English, Irish, and German ancestors. His approach to ancestor reverence and earth-honoring spirituality is heart-centered, non-dogmatic, and honoring of soul-level difference. He views ancestral and family healing as one part of a larger movement for social and earth justice. Daniel and his wife Sarah live in the beautiful Blue Ridge Mountains of Western North Carolina.